Experience the freshness of vast open spaces with the Prada Luna Rossa Eau de Toilette, a noble and agile scent for him. Inspired by the infamous sailing boat of the same name, the Prada Luna Rossa fragrance for men brings together a reverence for the natural world and a passion for innovation. A scent that takes its lead from technological elegance and the sleek styling of extreme sailing boats, Luna Rossa is a signature for the man whose spirit resides in the great outdoors with its rugged, vast open spaces. With a backbone of aromatic lavender and the slightly bitter freshness of orange essence, the Luna Rossa fragrance opens with a keen sense of invigoration. The heart explodes with the natural brightness of clary sage and spearmint, before a woody, ambery dry down of ambroxan and ambrette absolute assert a resolute trail. 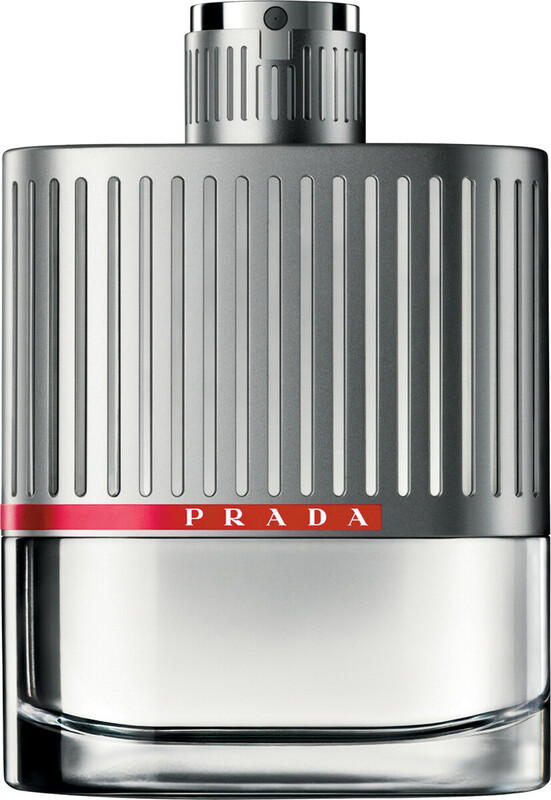 Prada Luna Rossa Eau de Toilette Spray is rated 4.9 out of 5 by 16. Rated 5 out of 5 by Ger26 from Fresh fragrance! Never fails to get comments when I wear it!!! One of the best! Rated 5 out of 5 by maqu from Perfect fragrance for day Very nice, light but long lasting fragrance. You can enjoy this smell for at least six hours. It's very good for day specially at the end of winter/ beginning of the summer. I was so amazed by this product, that I've bought 150ml knowing I will be using it for whole year. Rated 5 out of 5 by SteveyW from Tantalising This is my second bottle of Luna Rossa. The smelll is very fresh and invigorating. I get a lot of comments on how nice it is. The bottle is unique and strangely reminds me of nautical theme. If I had to pick something I don't like, and this is me being very picky, it's the lid; it seems almost like the bottle isn't meant to have a lid and it's only there to stop it from being sprayed by accident. This is a scent I never get bored if and will continue to purchase. I'd say it's the youngest smelling Prada scent for men. Rated 5 out of 5 by zeke from Good value The 100ml Luna Rossa Eau de Toilette was delivered promptly and nicely gift-wrapped. I also looked in the local Boots shop and the 50ml price was higher than I paid for 100ml, so very good value for money.